Custom Service: Huadong Cable Group provide custom 10 AWG high temp wire service, you just need leave your message. We will reply you within 12 hours. Where to buy 10 gauge high temp wire? What is high temperature wire 10 AWG cable? 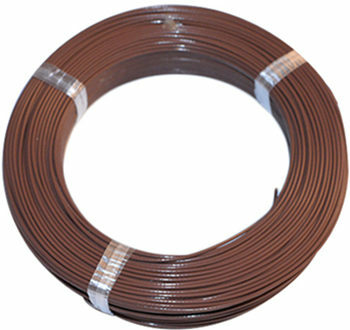 10 gauge high temp wire can be used for a temperature range from -90°C up to + 260°C. And Its wire gauge is 10 AWG. high temperature wire 10 AWG cables are suitable for extremely harsh environments. 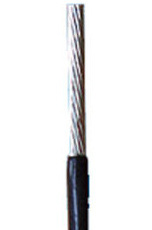 And1 0 AWG high temp wire has a high degree of durability. On the one hand, the high temperature wire 10 AWG conductor has a very good electrical properties. On the other hand, this is mainly because the insulating material of the 10 gauge high temperature wire has excellent characteristics. How to choose 10 AWG high temp wire insulation? Product Process: Our 10 AWG high temp wire use the high quality nickel/silver/tinned plated copper conductor material and Teflon (PTFE/PFA/FEP/ETFE) insulation material. Every production process has been strictly checked by our professional technical engineers. Package & Delivery: Huadong 10 AWG high temp wire packaging by roll or wooden drum or according to client’s requirement and deliver on time definitely. Customer Case: Our 10 AWG high temp wire products have been exported to more than 30 countries, such as: Germany, America, Yemen, South America, North America, Middle East, Africa, Asia, Oceania countries, etc.